We have some exciting news from our friends at Walker Books Australia that fans of Kate DiCamillo will absolutely adore. In 2016, two-time Newbery Medal winner Kate DiCamillo’s seventh novel, Raymie Nightingale, was published to overwhelming critical acclaim and debuted as a #1 New York Times bestseller. The deeply moving book about a summer of discovery and friendship went on to be a finalist for the US National Book Award for Young People’s Literature. The Walker Books Group is now announcing an exciting follow-up novel release by the author. While fans often ask DiCamillo to write more about their favourite characters, she has never been compelled to revisit the world of a previous novel — until now. In October 2018, for the first time ever, DiCamillo will return to unravel the story of Raymie’s friend and beloved ranchero, Louisiana Elefante. 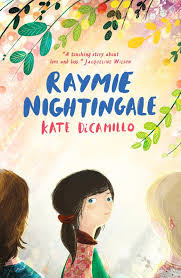 In its 2016 review of Raymie Nightingale, the New York Times noted that Louisiana 'is one of DiCamillo’s most singular and arresting creations' and that she 'delights on every page.' Fans of Louisiana can look forward to reading the as-yet-untitled book when it releases next year. 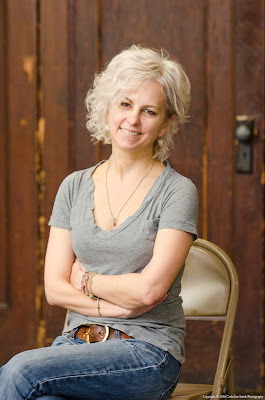 About the new book, author Kate DiCamillo says: 'I was getting ready to start on a project, going through my notebooks and all the phrases and images that I had written down that I thought might turn into a story. This phrase, ‘I am going to write it all down, so that you will know what happened to me . . .’ showed up again and again. And next to it, I had written ‘Louisiana?’ And it was Louisiana. It was her voice. While I had no intention of writing another novel about those rancheros, Louisiana’s voice was so strong and insistent, and her need to tell her story was so profound, that I gave in. And boy, am I ever glad that I did. I loved spending time with her again. DiCamillo is also partnering on an illustrated book with cartoonist and illustrator Harry Bliss for another new 2018 release, Good Rosie. The story will explore what it means to be both a dog and a friend. 'Kate’s novels feature such appealing settings and lovable characters that it’s always hard to say goodbye, so we were overjoyed to learn that it wasn’t yet time to say goodbye to Louisiana. For readers who already know and love her, Louisiana’s story will feel like a gift, and those who don’t know her yet are in for a treat. There’s so much for Kate fans to look forward to in 2018 — it’s going to be a huge year for her, and we couldn’t be more excited!' said senior editor Andrea Tompa. Kate’s first picture book in ten years, La La La: A Story of Hope is out next month. 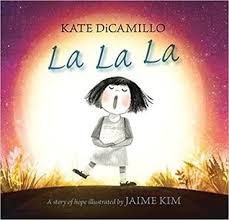 A nearly wordless picture book – with gorgeous illustrations by Jaime Kim - Kate DiCamillo conveys a lonely child’s longing for a friend. With a subtle palette and captivating expressiveness, Jaime Kim brings to life an endearing character and a transcendent landscape that invite readers along on an emotionally satisfying journey. KateDiCamillo is one of America’s most well-regarded storytellers, author of The Tale of Despereaux and Flora and Ulysses, both of which have been awarded the prestigious Newbery Medal; Because of Winn-Dixie, which received a Newbery Honour; The Miraculous Journey of Edward Tulane, which won a Boston Globe-Horn Book Award; and the bestselling Mercy Watson series. Born in Philadelphia, she grew up in Florida and now lives in Minneapolis, USA, where she faithfully writes two pages a day, five days a week.